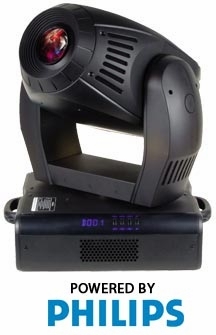 Power Spot 700 CMY-II - 700 CMY Color Mixing Moving Head w/Animation Wheel DJParts - All Variety of Parts that DJ Needs. Home > Lighting/Snow/Fog/Bubble Machine > Elation Lighting > Elation Moving Head > Elation Power Spot 700 CMY II Moving Head - Free Shipping! Elation Power Spot 700 CMY II Moving Head - Free Shipping! • Gobo-Wheel 1: 7 Exchangeable, Rotating Quick-Snap Gobos Plus "Open"
• Gobo-Wheel 2: 9 Fixed Exchangeable Standard Gobos Plus "Open"
• 63 lbs. / 28.5 kgs.